In the past we’ve talked about one of the major downsides of working with vintage computer hardware, which of course is the fact you’re working with vintage computer hardware. The reality is that these machines were never designed to be up and running 20, 30, or even 40-odd years after they were manufactured. Components degrade and fail, and eventually you’re going to need to either find some way to keep your favorite classic computer up and running or relegate it to becoming a display piece on the shelf. If you’re like [John Hertell], you take the former option. Knowing that many an Amiga 1200 has gone to that great retrocomputing museum in the sky due to corroded PCBs, he decided to recreate the design from scans of an unpopulated board. While he was at it, he tacked on a few modern fixes and enhancements, earning his new project the moniker: “Re-Amiga 1200”. 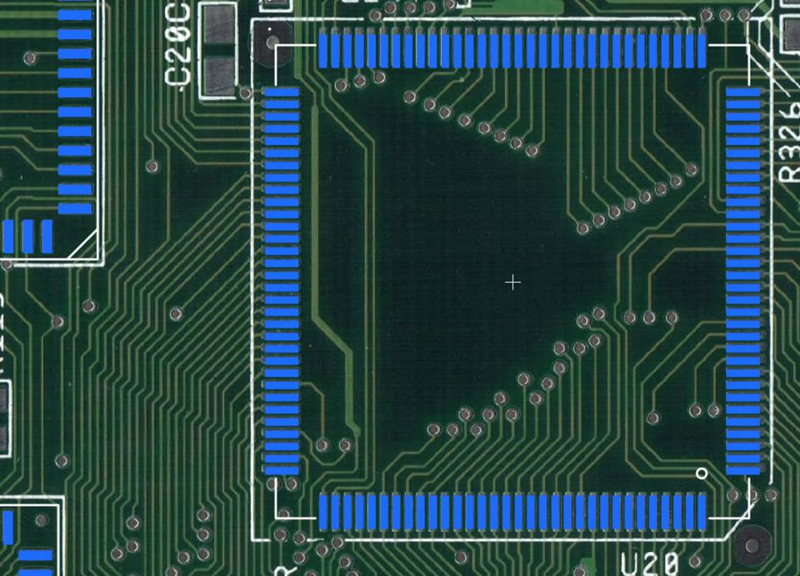 To create this updated PCB, [John] took high quality scans of an original board and loaded them up into Sprint Layout, which allows you to freely draw your PCB design over the top of an existing image. While he admits the software isn’t ideal for new designs, the fact that he could literally trace the scan of the original board made it the ideal choice for this particular task. After the base board was recreated in digital form, the next step was to improve on it. Parts which are now EOL and hard to come by got deleted in place of modern alternatives, power traces were made thicker, extra fan connectors were added, and of course he couldn’t miss the opportunity to add some additional status blinkenlights. [John] has released his Gerber files as well as a complete BOM if you want to make your own Re-Amiga, and says he’ll also be selling PCBs if you don’t want to go through the trouble of getting them fabricated. It seems as if Amiga fans never say never, as this isn’t the first time we’ve seen one brought back from the brink of extinction by way of a modernized motherboard. Whatever it takes to keep the vintage computing dream alive. Cheap SLA printing service. [Ian] and Dangerous Prototypes have made a name for themselves with dirt cheap, acceptable quality PCBs. Now they’re going for custom prints on a resin machine. It’s $0.95 per gram (density is 1.3g/cc). That’s cheap. [James Willis] built a floppy drive orchestra. There are 16 drives in this orchestra, all controlled by an FPGA. Here’s the writeup. Here’s a video overview of a real, huge, rideable hexapod robot. ‘Wow’ is just about the only thing we got for this. Western Digital introduced a hard drive made specifically for the Raspberry Pi. It’s a hard drive with a USB interface, and a USB cable that connects to the Pi, the drive, and a power adapter. In other news, externally powered USB hard drives exist. You can buy a 2TB drive for the price of the 1TB PiDrive. What was that thing about Raspi consumerism? Next week is the Open Hardware Summit in Philadelphia. We’ll be there (or rather, I will). We’ll have a post on the OHS badge up on Monday. Would anyone like to go see the lady made out of soap? It’s right around the corner from the venue.